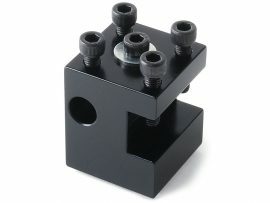 Sherline now manufactures its own inserted tip threading and grooving holder. Because of the multiple uses and the cost of the inserts, the holder is sold separately with no inserts included. You choose which inserts you need and order them separately. 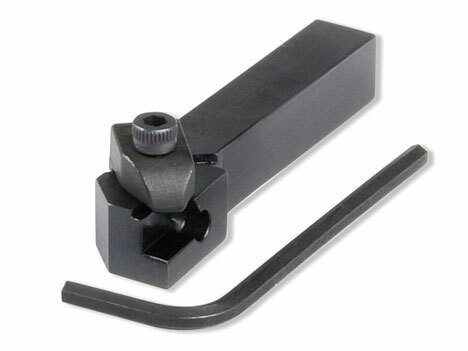 A special clamp, 6-32 hold-down screw and 7/64″ hex key are included with the holder. The primary method of cutting metal on miniature machine tools is usually with high speed steel tools as they are inexpensive, easily resharpened and can be ground into “form” tools for special jobs. However, inserted tip tools can be lifesavers for some jobs. This is why they find a lot of use in the modern professional machine shop. 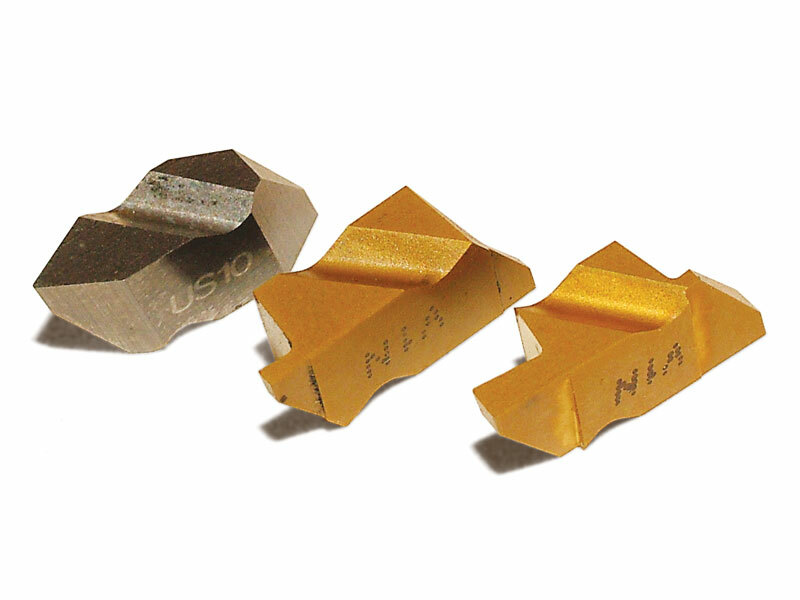 The .031″ grooving insert has a cutting depth of 1/16″. 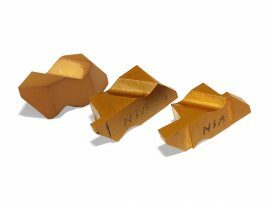 In addition to grooving, it makes an excellent parting tool for micro-machining on parts up to 1/8″ in diameter. 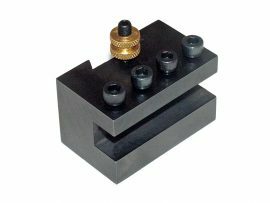 The .062″ grooving insert has a cutting depth of 1/8″, so it can also be used to part off stock up to 1/4″ in diameter. CAUTION: Chips coming off the carbide inserts can be very HOT! Use extreme caution. Carbide inserts can also shatter. For these reasons proper protective eyewear and clothing is especially important when using these tools. Some materials like tool steel tend to build up a long, thin chip that wraps around the spinning part like steel wool. Use a chip brush or stop occasionally to remove this material often. Note that red hot chips can cause this “bird’s nest” clump of material to burn. Clean up often to keep the pile of chips to a minimum near the cutter.